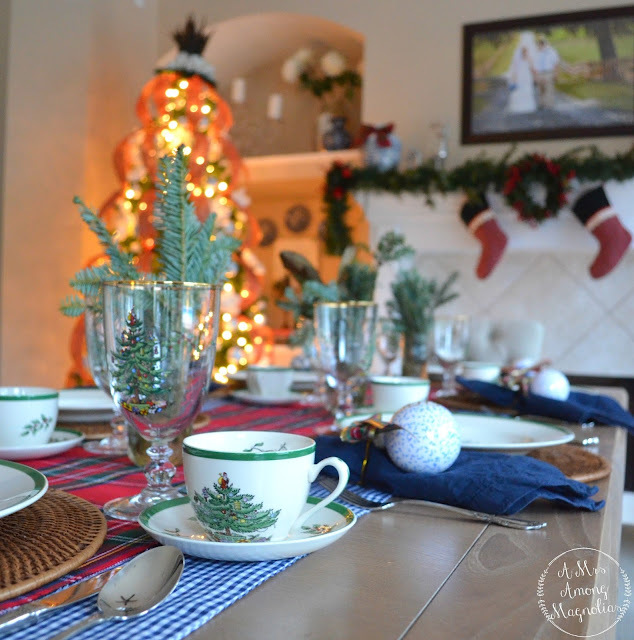 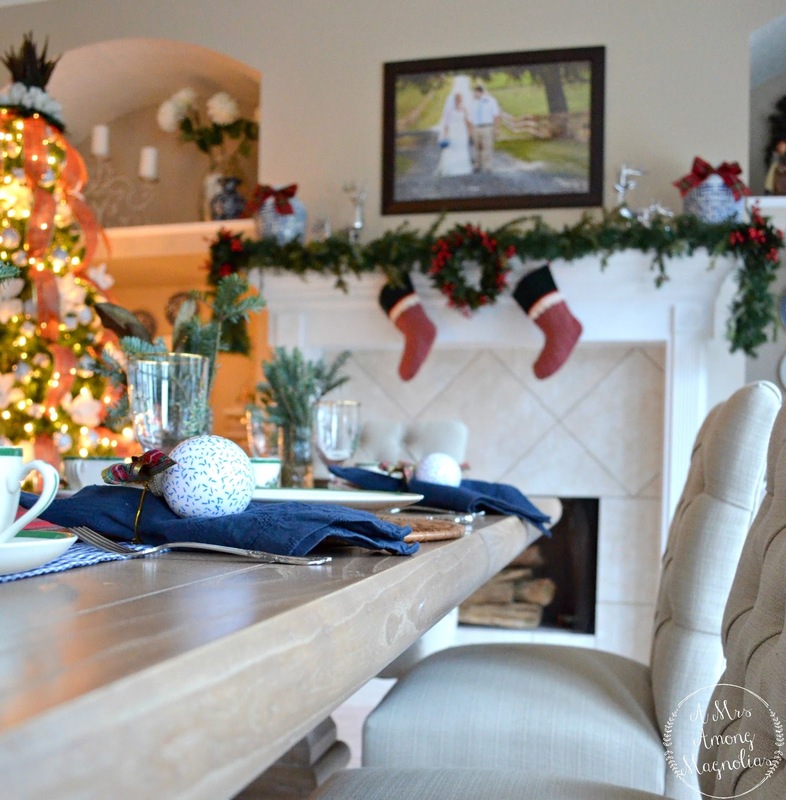 I created this tablescpae with Christmas morning in mind, and I wanted to keep it simple yet festive. 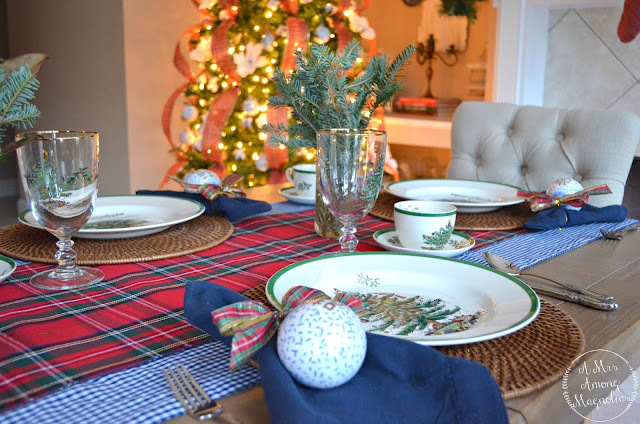 Even though its Christmas, I didn't want a grand tablescape. 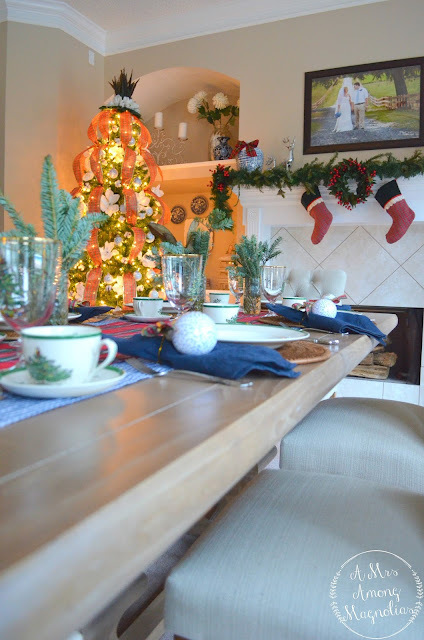 I wanted the people around it to be the focus and the christmas tree lights to be the highlight. 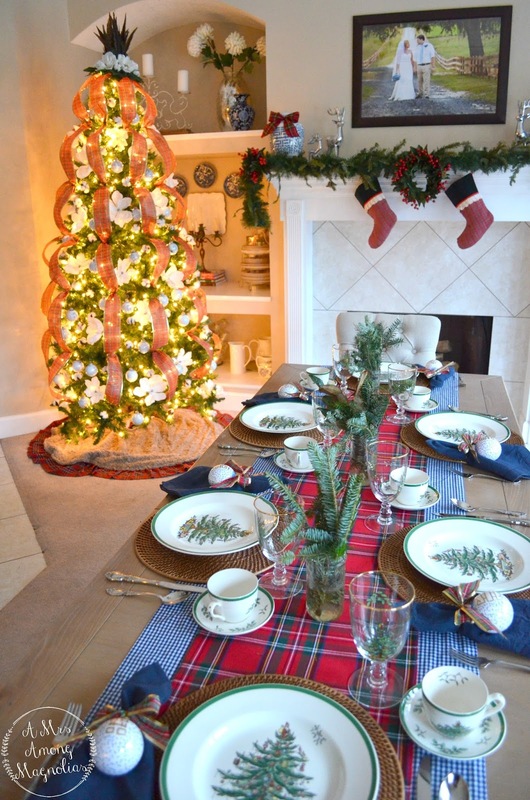 The handmade ornaments add a festive touch that will make your family feel extra special. 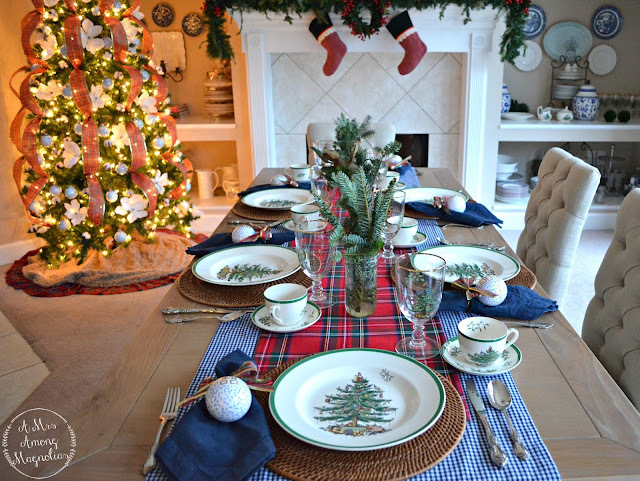 Since the christmas tree is now in the dining room, family is even closer to all the presents! 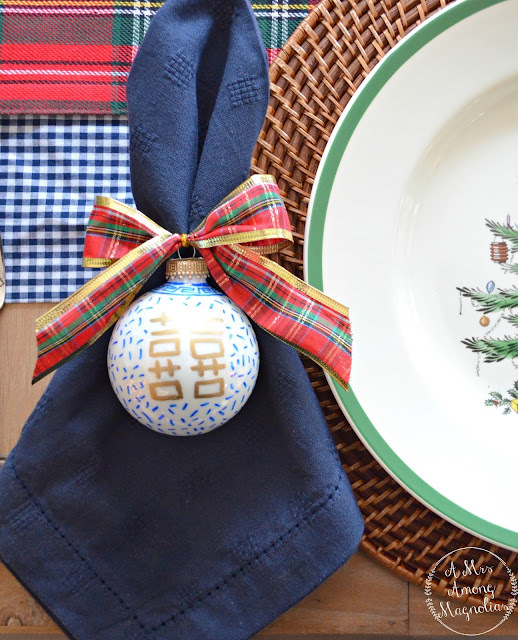 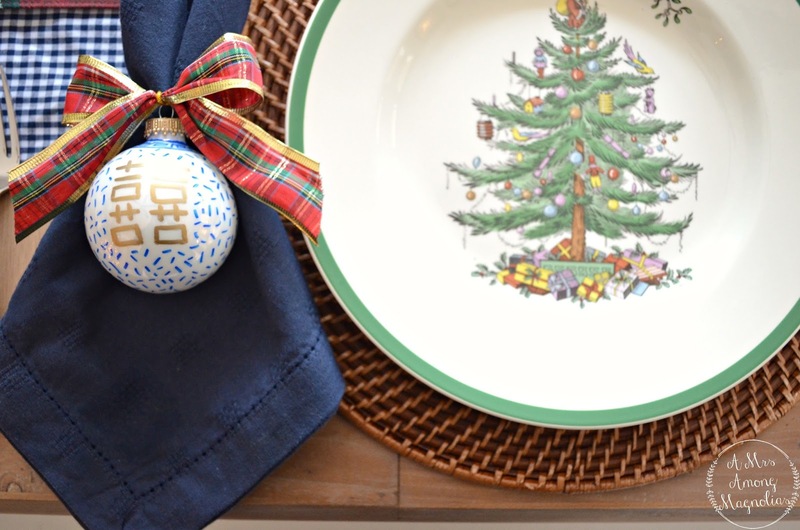 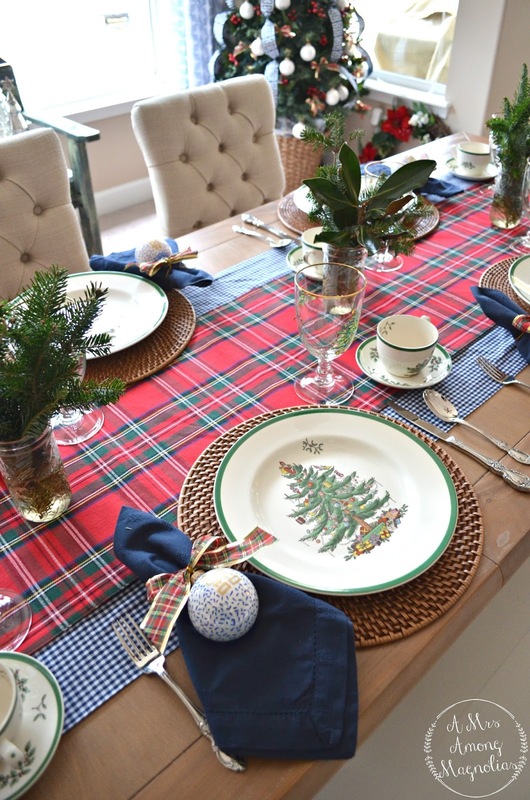 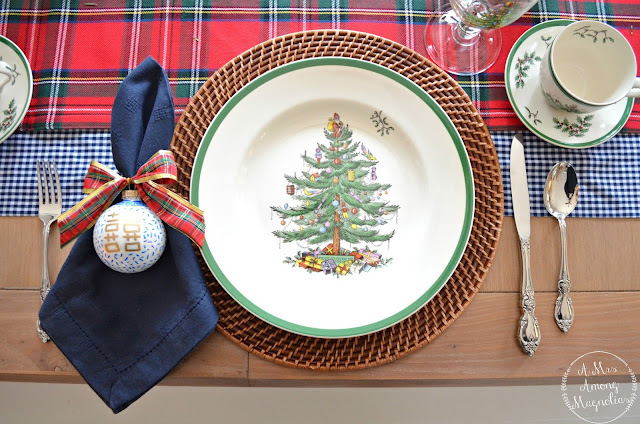 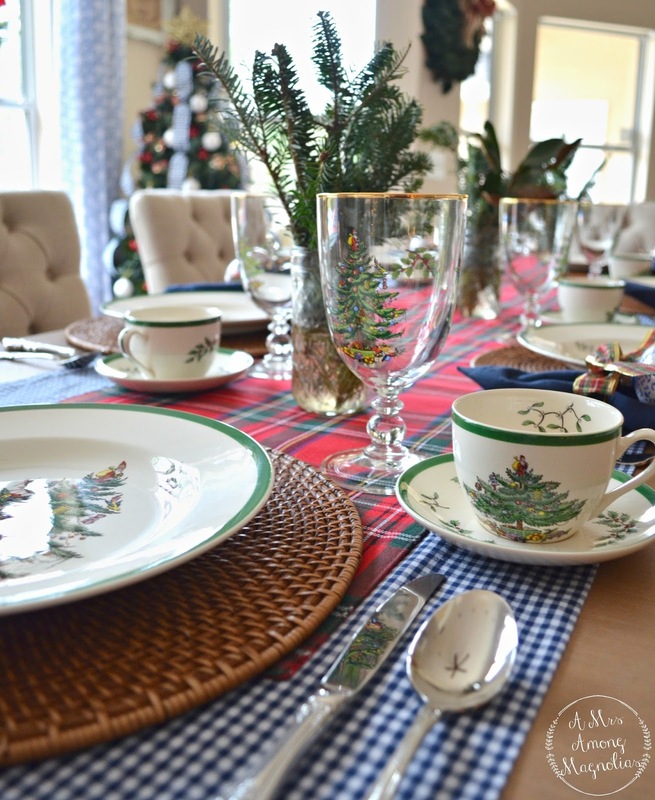 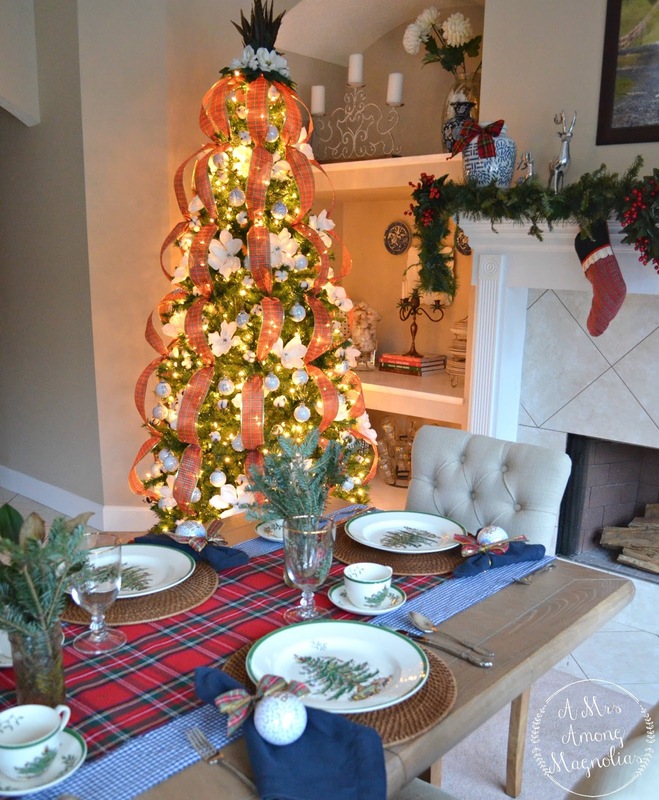 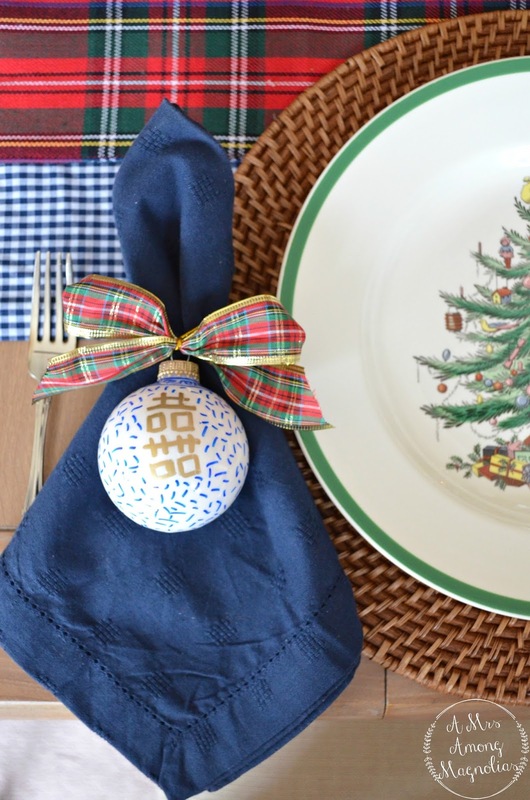 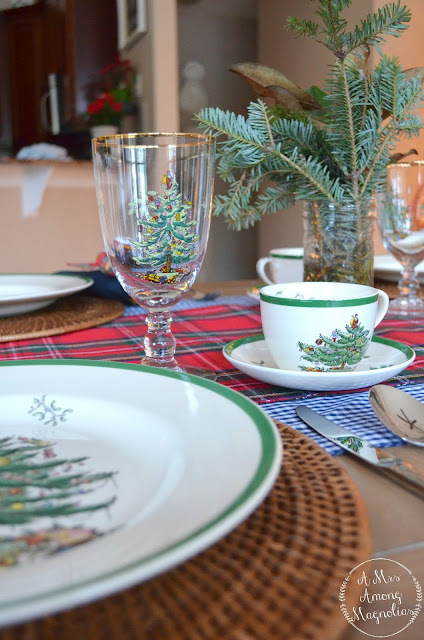 Where did you get your plaid table runner?